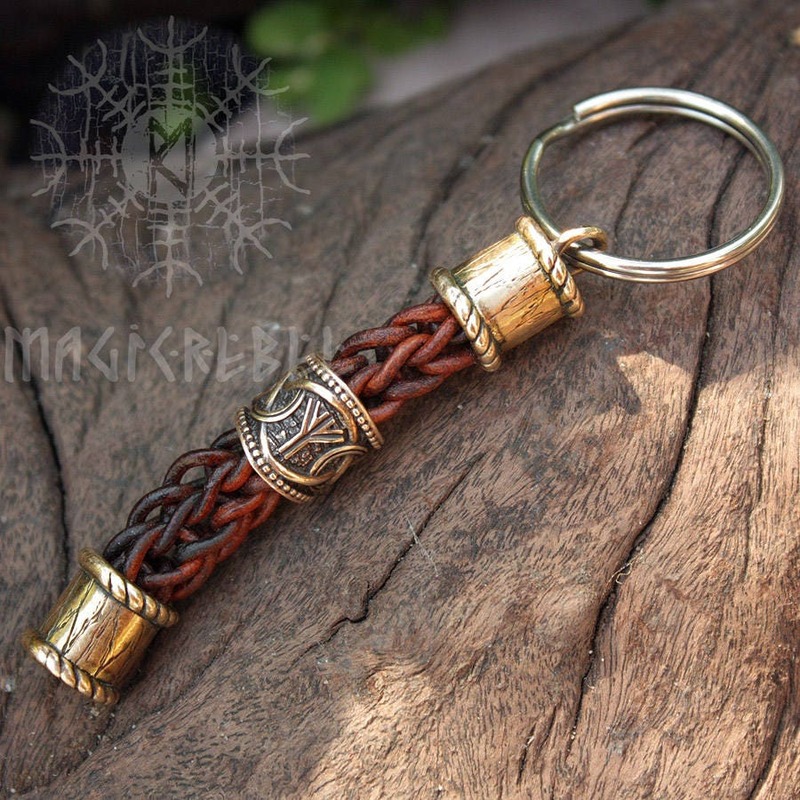 This is a genuine handmade braided brown round leather keychain knot with real solid bronze beads featuring Algiz and Teiwaz runes in the middle bead. 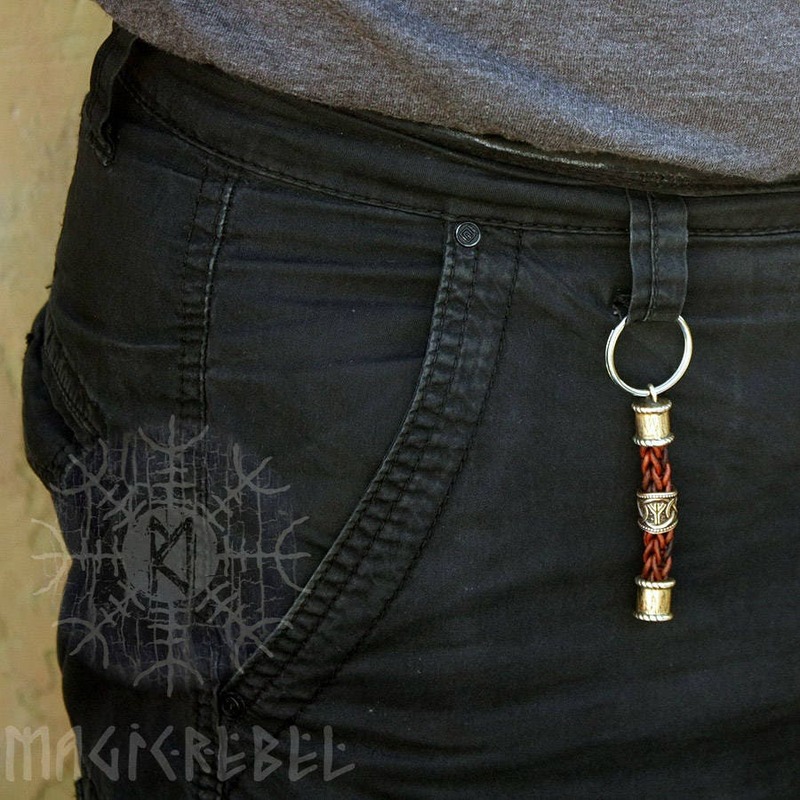 The entire keychain length measures 2.25" inches or 55mm. Runes are a Norse alphabet developed around 200 BCE, from characters used for magical purposes. According to Norse myth, the alphabet was discovered in a vision by the god Odin as he hung upside down and wounded for nine days on the World Tree Yggdrasil. There are three commonly known runic alphabets: the ‘elder’ and ‘younger’ Futhark (futhark being the transliteration of the first few letters of that alphabet), the Anglo-Saxon futhork, and the Danish ‘short twig’ or script alphabet. 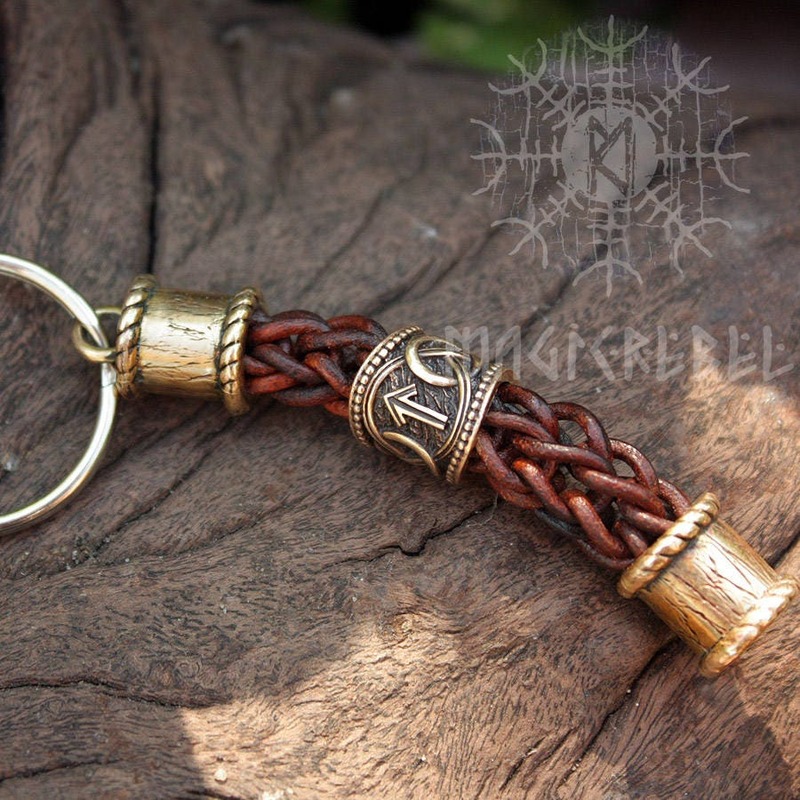 The Yr Rune, Algiz or Elhaz literally translates as elk. Its meanings include divinity, higher self, and the state of listening. 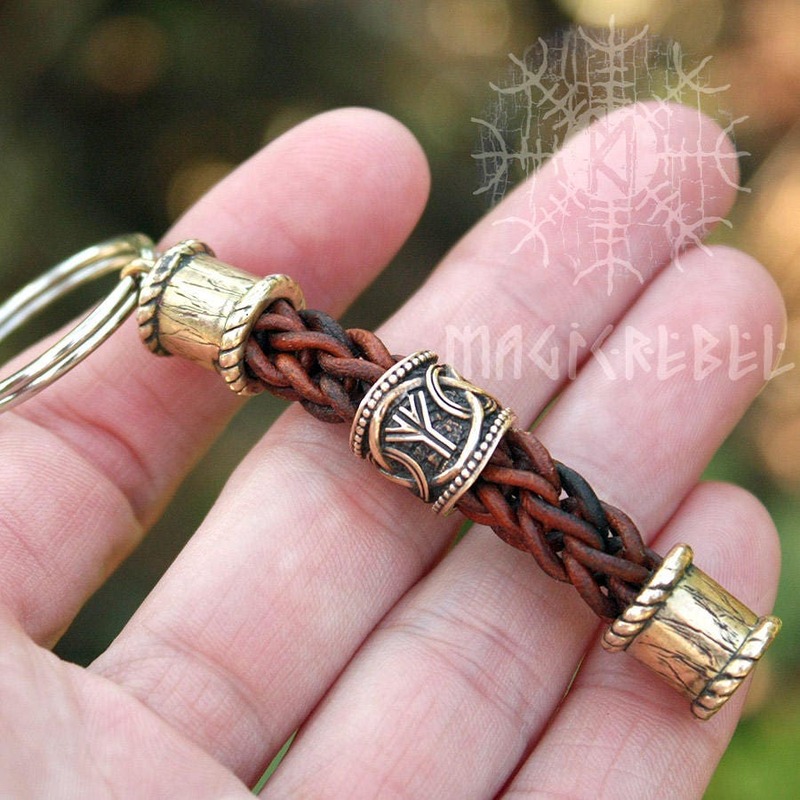 The z-rune is the rune of the essential link or connection with the patterns of divine or archetypal consciousness, such as the Valkyrie. Algiz is the rune of the possible danger of realizing this link when unprepared. Algiz runic number is 15. The T-rune is named after god Tyr or Tiw in Norse. The legendary Norse warrior Tyr lost his hand in a battle with a giant wolf Fenris while fighting to save his people. Also Tuesday is named after Tiw. The meanings of Tiwaz or Teiwaz are sound leadership, victory in battle, success in competition and personal sacrifice. Tiwaz runic number is 17.